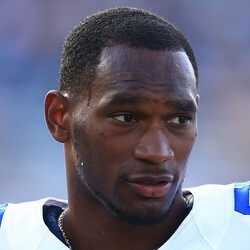 Former Dallas Cowboys RB Joseph Randle has reportedly been hit with yet another felony charge while imprisoned in a Kansas jail for allegedly making threats against a Sedgewick County deputy. This is yet another troubling incident in the life of former Dallas Cowboys running back Joseph Randle. Not even one year ago, Randle was the starting running back for the Cowboys before wracking up multiple arrests and charges that led to hs release. Due to multiple violations of the league's conduct policy, Randle may never receive the opportunity to resurrect his career as a pro.